Anyone who loves to garden, whether a professional or an amateur, must have in his tool palette a pruning saw. And each one chooses the model that he considers adapted based on various criteria. Need the advice to make your choice? Follow our buying guide for the best folding pruning saw. In this article, we will give you the main criteria to take into account so that you are not mistaken in your choice. To find out how to buy a pruning saw with better value, you must first know that there are two main models: the straight pruning saw and the curved pruning saw. Each has its own qualities. The first is lighter. In addition, it is much more manageable compared to the other. You will have no trouble sneaking between branches when you work. For its part, the curved pruning saw also has its own advantages. With this model, the sawing movement is facilitated. Moreover, its blade penetrates easily into the wood. However, this one is a bit more difficult to manage. It takes a minimum of practice for you to work with this model safely and effectively. As in the purchase of any accessory, it is always interesting to have a model that offers additional options. And the pruning saw is no exception to the rule. For example, a telescopic model would be very interesting for those who have difficulty working at height for different reasons. It will allow you to avoid climbing on the tree to be pruned or to use a ladder. You can also reach the branches difficult to access with ease. Another example of an option is the sharp hook. With a sharp tip on the top of the blade, you can cut small branches and creepers efficiently. There are still many options that can be added to the list. But as you can imagine, these have an impact on the cost. Just consult a price comparison to find out. It is also important to opt for a model that offers better ergonomics. It’s about your comfort when you work. The most essential point when talking about this criterion is the arrangement of the handles, especially the coating of the latter. For a better grip, it is best to choose the models whose handles have wood, metal or plastic coverings. An anti-slip material would be ideal. For those who are often brought to move, a folding handle is also very interesting. It can accommodate a retractable blade. Thus, your work tool will be much easier to transport. After taking stock of these different criteria, you can finally choose where to buy a new pruning saw. 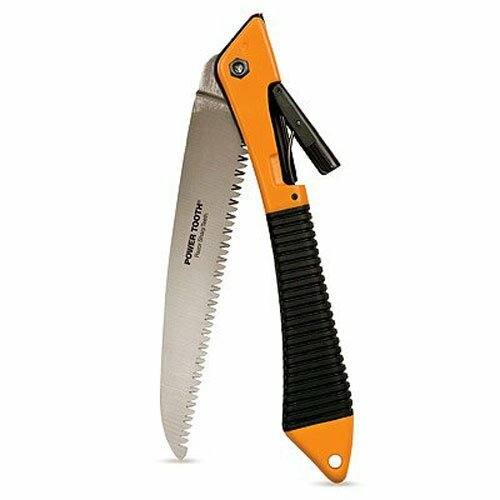 TABOR TOOLS T6, Folding Saw with 8" Straight Blade and Solid Grip Handle, Hand Saw for Pruning Trees, Trimming Branches, Camping, Clearing Forest Trails. 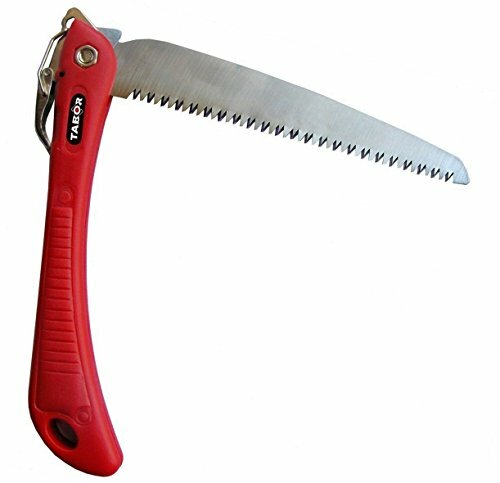 While hand pruners are nice for eradicating small branches and cutting flowers, a hand pruning saw is the best tool for the job. You must take a seat, relax and chose a good one. This Power Tooth Softgrip Folding Saw from Fiskars includes a razor­sharp. The triple­floor blade that makes aggressive cuts that will help you power through thick branches faster. The saw blade locks in 2 completely different open positions, so whether or not you are making overhand cuts or undercuts. You continue to have the most reducing Power and management. Softgrip contact points provide a snug, safe grip irrespective of which approach you are reducing and this pruning saw even folds and locks for space­saving storage and secure transportation. The Power Tooth Softgrip Folding Saw is an exceptional folding hand saw. Helpful for a wide range of purposes. It’s sufficiently small to easily fit in the hand permitting for good management. This is an eight-inch blade that has seven teeth per inch, so you can do the math on how much noticed power you’re getting per stroke. 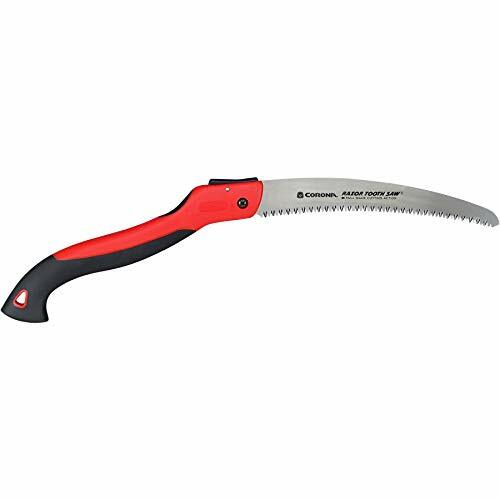 This Pruning Saw particularly designed to be used in sport or anyone out within the wilds. It comes with a security lock for added safety while using it. Designed as per the newest technology, This Japanese hand saw gives a better cutting velocity with much less effort due to the curved and specifically designed toothed blade. The razor-sharp blade has four slicing angles to reinforce the standard of slicing and gives a rapid, clean, clear slicing action which is extremely satisfactory. Ensure your safety is the primary precedence (particularly as a beginner). You ought to put on work gloves and security goggles in case you are reaching into the particularly thick foliage. Where the correct clothes too, shorts and t­shirt are a nasty concept for those who’re pruning rose bushes as an example. Power Tooth Softgrip Folding Saw ­ Listed as a pruning saw,” the Corona has a 10″ curved blade and tri­angled tooth to put you through some critical lumber with the quickness. This curved, 10­inch blade is sort of sharp and light­weight. Combined with its folding ability, this makes it very handy for portability and effortless use. The Corona RS 7265D is an efficient and simple razor tooth folding pruning noticed that is tailor-made for gardening. Armed with a 10­inch lengthy curved blade and a set of. Other than pruning leaves in the backyard, this tool can also be good for chopping meat. You can even use it for agriculture purposes and woodworking. And the compact and light­weight construction of the folding saw can easily slide back into the tender grip handle. This Saw has 10­inch steel blade is curved to additional pace the cutting process, and it’s great for useless, hardened, and frozen branches. The razor tooth design is exclusive to Corona’s saws and really does make it the fastest pruning saw in the marketplace right now. And, this device comes backed by Corona’s infamous lifetime warranty. Perfect for professional cutting and gardening. The Tabor T­6 folding hand saw lets you blast by way of small and medium branches with ease. 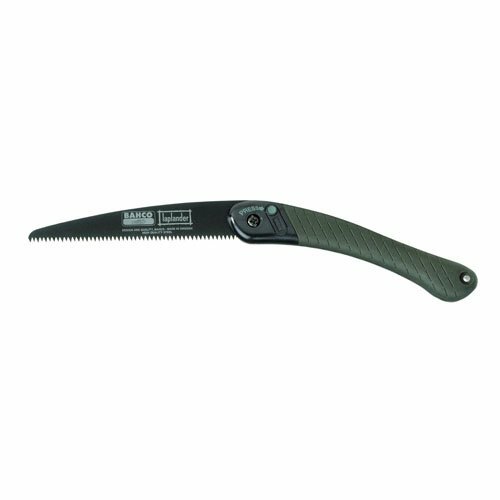 This hand saw features a lightweight design, straightforward unobtrusive open/shut lock with an improved non­slip grip, making your pruning and trimming tasks easier. The Power Tooth Softgrip Folding Saw blade is robust. Easy to use, simple to the retailer. Also perfect for backpackers, campers or anybody who prunes or cuts wooden. The Bahco Laplander Folding Saw is a high-quality pruning saw. Sandvik XT­toothing offers quick, smooth slicing. Power Tooth Softgrip Folding Saw has seven teeth per inch. This is a basic­ objective folding saw for slicing both inexperienced and dry wood, plastic, or bone. 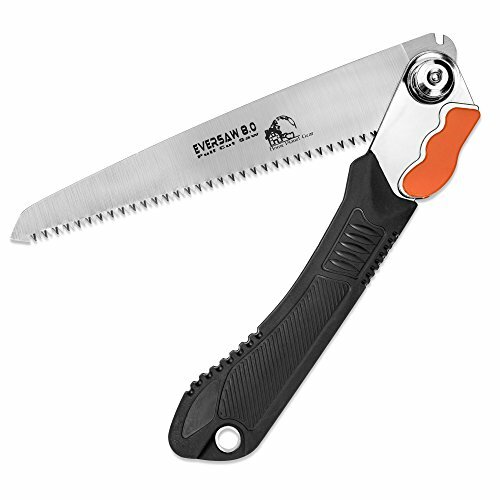 This chap Pruning Saw is specially designed for wildlife lovers, hunters, and campers. The teeth are hardened for additional durability and an anti­rust coating reduces friction, making sawing easier. The handle is a two-component plastic deal with for good grip, complete with a leather strap. This folding saw contains a security lock, which also locks when folded. It’s 6.67 ounces (190 grams) and folded it is only 9 inches (23 cm) long. It has supposedly been developed to be reliable, compact, mild and fast and straightforward to use whether you’re out camping, practicing your bushcraft or pruning your yard garden. As your own pruning saw must be manufactured from finest supplies, here we’ve got all of the top 5 Best Folding Pruning Saw accessible online.